We had a brilliant launch to our new topic 'Explorers' with Mr Lean, our Year 4 teacher, giving a wonderful presentation to Year 1 and 2 all about his time as an explorer. 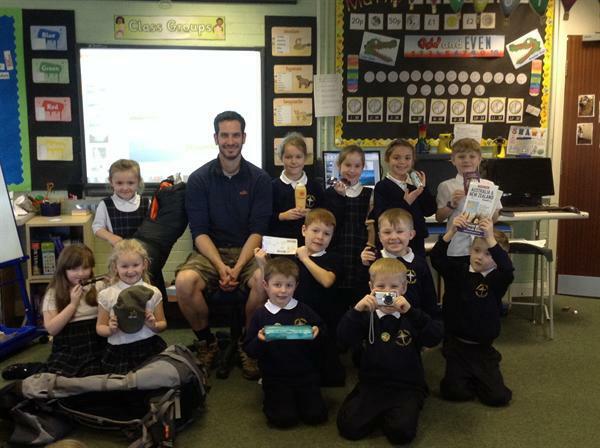 The children loved hearing about his time travelling around Australia and New Zealand! Mr Lean brought his rucksack filled with things an explorer needs and explained WHY he took them, this included his passport, sleeping bag, first aid kit, sun cream, camera and insect repellent! We then got to see lots of lovely photographs of his time away. Mr Lean really inspired us all to want to become explorers and see more of the world!